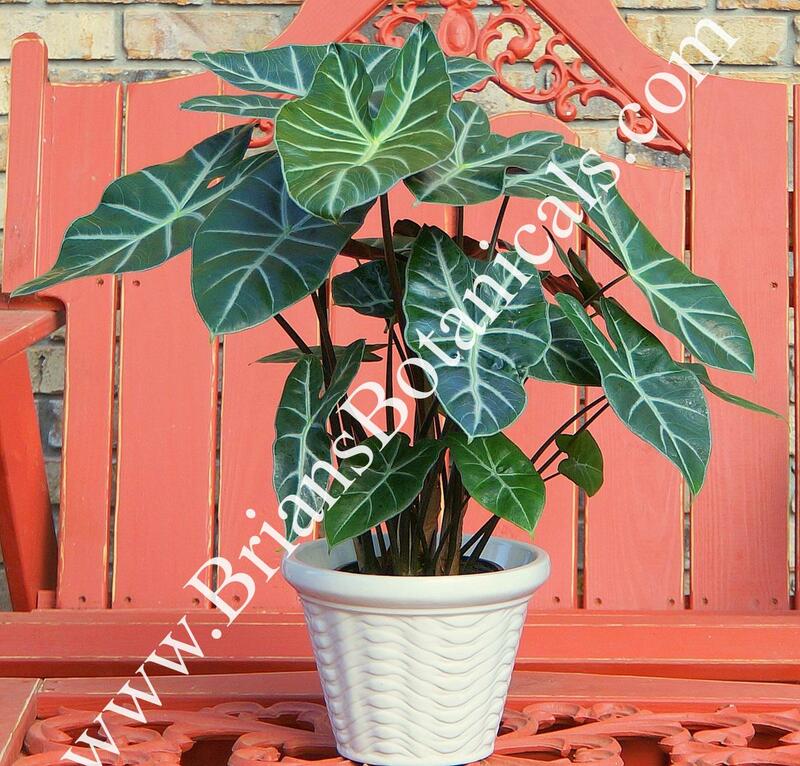 Alocasia Ebony is a newer hybrid dwarf is size growing to 2 feet tall. The foliage is similar to longloba with dark green leaves and white veins. The petioles or stems are dark almost black in color. A great small container plant for indoors. Plants sold in 4 1/2 inch pots.